In an Australian first The Oak Barrel can confirm that the second exclusive bottling for this year’s Sydney Whisky Fair is a sensationally tasty single cask from India’s Paul John Distillery. The first time the Goa-based distillery has bottled a single cask for Australia, Cask #987 has been bottled at cask strength, cleared customs (not a cheap exercise) and has this week landed in store. An un-peated, elegant, soft and moreish expression, it’s a dram we’ve kept coming back to in recent months. Cask #987 was not a whisky we went out looking for, rather it was one that fell into our lap. Impressed by the peated expressions from Goa’s Paul John distillery, we requested some cask samples to sit alongside the Scottish malts we were evaluating. In early 2016 while at a New Zealand whisky show the distillery’s Master Distiller Michael John (no relation to the owner whose name the company bears) had told us that we wouldn’t be seeing any samples until he and the casks were ready. To be honest, he put a bit of cold water on the excitement and we walked away from that discussion not expecting to be bottling anything for the Fair from the distillery – at least not this year. A few months later, however, samples arrived and alongside the peated was this: Cask #987. We tried it side-by-side with other samples and then in a blind Scottish line-up. Trusting our gut and following our panel (who ran it through with flying colours) we felt we’d be mad not to bottle this incredibly tasty whisky – albeit against our original plans of looking for something smoky. 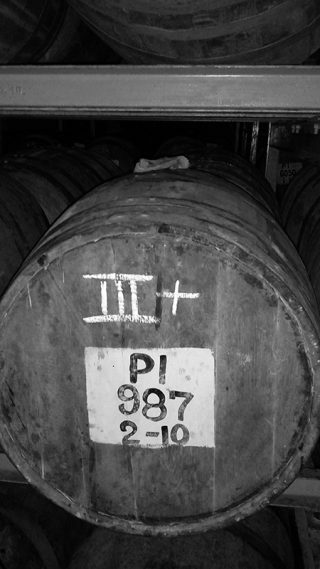 Such is the nature of whisky, the casks will tell you when they’re ready – not the other way around. The Paul John company has a huge domestic output for spirits, but they only decided to try their hand at premium single malt in 2008 (the first release wasn’t until 2012, which our cask pre-dates). They use Indian six-row barley, the local variety having more protein and more husk content which they believe gives a bigger flavour. A 70-hour fermentation and slow distillation have been implemented to coax as much flavour out of the spirit as possible, while the high ascending lyne arms on the still ensure that distillate converses with plenty of copper. Their clean spirit is favouring American Oak and the elegant, honeyed notes that comes with Quercus alba. They also favour ex-bourbon casks from American distilleries who matured for a relatively short time, ensuring they get American oak that hasn’t spent too long holding bourbon. This was distilled and filled into Cask #987 in February 2010. The 200 litre American oak ex-bourbon cask was matured in their underground cellar (Cask Cellar – 1). Bottled June 2016, the cask yielded 180 bottles only. The spirit cuts are done by nose and their hearts are running off the still at about 65%, which is quite low – their goes into the cask undiluted off the still. Unlike some other regions of India or Australia and more akin to Scotland’s trends, they lose alcohol volume during maturation, particularly in the underground warehouse (they have both above ground and below ground warehouses they’re experimenting with). It means that when you bottle at cask strength, as with Cask #987, this is truly undiluted whisky. No cutting down off the still into the barrel, no cutting down out of the barrel into the bottle. A luscious whisky from a ‘New World’ distillery to put beside our own Aussie expressions. Creamy vanilla, fruity, fresh Macadamia nuts, brown sugar, almonds. After a while that fruit becomes banana, peach. The palate is sweet with texture to spare, exotic spices on the back palate. Good finish, but there’s not a lot of time to think about it as you’re going back for more pretty quickly. Addition of water gives hints of caramel and nuts and brings the rich sugars to the fore on the palate. Really soft and surprisingly very little oak influence. Finish is medium length and quite elegant. 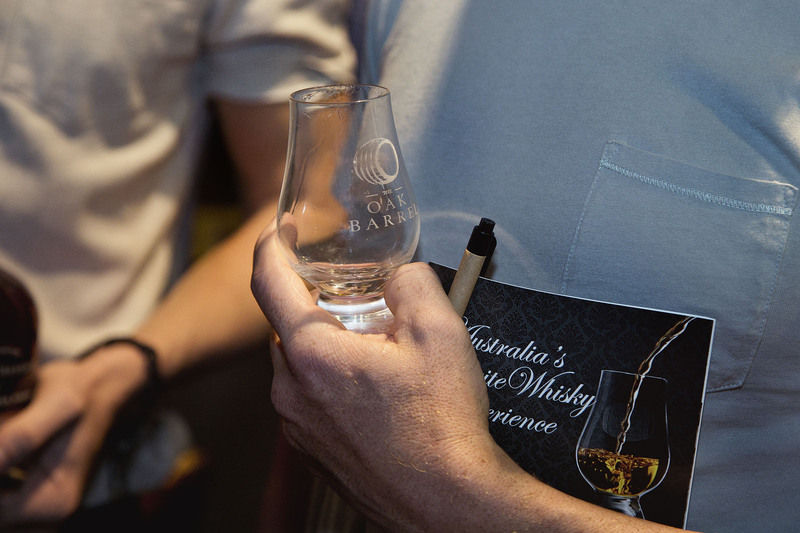 Cask #987 will be available to sample and purchase at Sydney Whisky Fair and you can secure your bottle below. They are in store now. Presented in a gift box, they will retail for $179, $162.73 for members. However there is a special pre-order, pre-Fair price of $149. No further discount. In our opinion it’s incredibly good value for a whisky of this calibre.